The spin-off to Starpoint Gemini 2 introduces coveted strategic elements into the tactical space simulation that is the Starpoint Gemini franchise. Conquer territory, conduct research, scavenge for resources and defeat your enemies. In Warlords, think BIGGER! Bigger universe, bigger ships, bigger stations. Expect many tweaked features; the community has decided on what they want and now they are getting it! After 6 weeks of intense modding, we are pleased to announce the winners in the Starpoint Gemini modding competition. Two months ago in partnership with Iceberg Interactive and ROCCAT we challenged the modding community to create something amazing for Starpoint Gemini Warlords (grab on Steam here). With an extremely short deadline and modding tools released the day the event started, the challenge was well and truly on. Despite this, a few brave modders stepped up and today we congratulate the winners, and encourage you to do the same. The primary modding challenge was to create a Spaceship or Space Station for SPGW. A core element of any space game, these are the winners. Created by Hoven, the TAUXINH is a big ship you can buy at Concordia for 60 000 000. She's not a little ship so you'll have to earn it! But when you'll possess her, she'll take you wherever you want in one piece. Created by Piquituerto, the ANVIL Battleship this is one warrior not to be messed with. Available to purchase in-game at the Concordia station for 20 000 000. 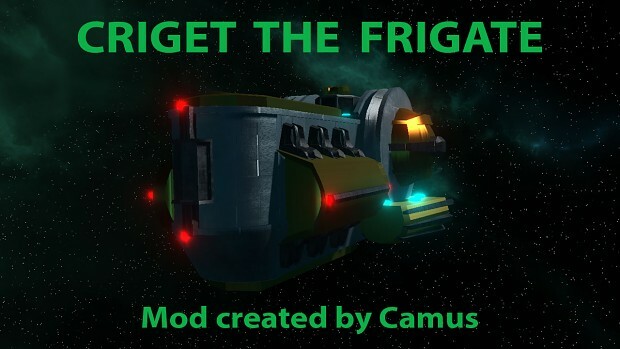 Created by Clownmug, the Criget is somewhat of a hybrid between a freighter ship and a frigate ship. Handy in all situations but not a specialist at any, this ship will enable you to do trading, mining, and a little combat from time to time, without having to swap to a more suitable ship. The secondary modding challenge was to create essentially anything else within the game. The door was open to sound designers, 2D and 3D artists, and these are the winners. Created by xmatarax, the music pack contains 8 original tracks (1 battle and 7 ambient tracks) with 20 minutes of custom made music. Preview it on Youtube. Created by dimolo, the Molo music pack contains 2 different tracks. 1 for the battle, another 1 for the space ambient when you are exploring. Created by Stuhko, the custom decal pack contains seven vector decals across the following categories: Gear, Orb, Star, Atom, Biohazard, Eagle and Flower. Huge congratulations to the winners, and a huge thanks to all modders who dug deep and submitted an entry in the event. 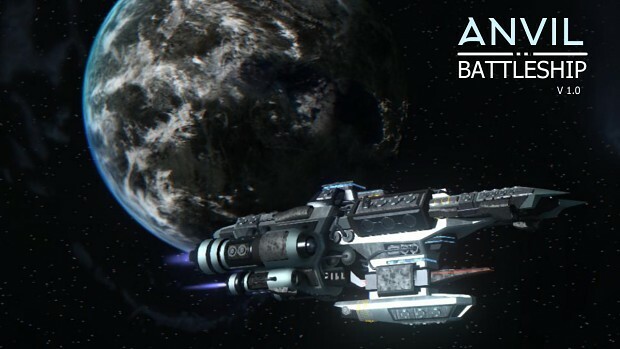 See you in Starpoint Gemini Warlords which you can grab on Steam here. How come there are only two "winners" at the 2nd modding challenge? What about other submissions? Disqualified? I would like to learn from my mistakes, so can you please elaborate why is my submission (SPGW Music) not enough eligible? Thanks in advance. Was that in this competition? I'm not sure you won a prize but i'd be happy to chase this up for you. Oh and rest assured we respect our users privacy 100%. WE HATE SPAM, and would hate to cause that for our fans. Also curious to know what I did wrong. Ditto, honestly not sure where I could have gone wrong. I was careful to go over the rules. Actually withdrew my submission and then re-submitted when I noticed I'd mucked up at one point. As I mentioned above, it ultimately came down to suitabilty, complexity and completness for the game. Thank you. I see now that I should have focused on a single complex decal. I don't get this. What you're saying is that you received a sufficient number of rule-abiding entries to fill the winning positions, but decided not to do so based on arbitrary conditions not outlined in the competition terms? That doesn't exactly strike me as fair. Could you describe exactly what you mean by "suitability, complexity, and completeness"? Couldn't agree more. These conditions are quite inconvenient. I'm asking about this now (@soundb) and will report back once I hear! Much appreciated. Is there any chance you could tell us who exactly you're going to for the information? On a seperate note: those downvotes are cute. Gotta love how someone can just click that button and never have to worry about actually making a counterpoint or having their position challenged. Discussing with the game devs who tested and know all of the entries well. Thanks Kirbachev, SoundB and Stuhko for your patience. We have decided on a 3rd place for category 2 which is the decal entry from Stuhko. You all should have received a PM from XanT about your prizes, either the swag pack for being part of the first 10 entries, or more if you are in the top 3. Again thanks for participating and waiting for the outcome! Thanks for taking the time to look at that again, and congrats to Stuhko. No PM from XanT, though I haven't checked in a bit. Congrats everyone for the involvement! I would've joined this competition but I was to late and there was 20 hours or less left! I wish we could set ourself on newsletter for modelers to be notified of these events.